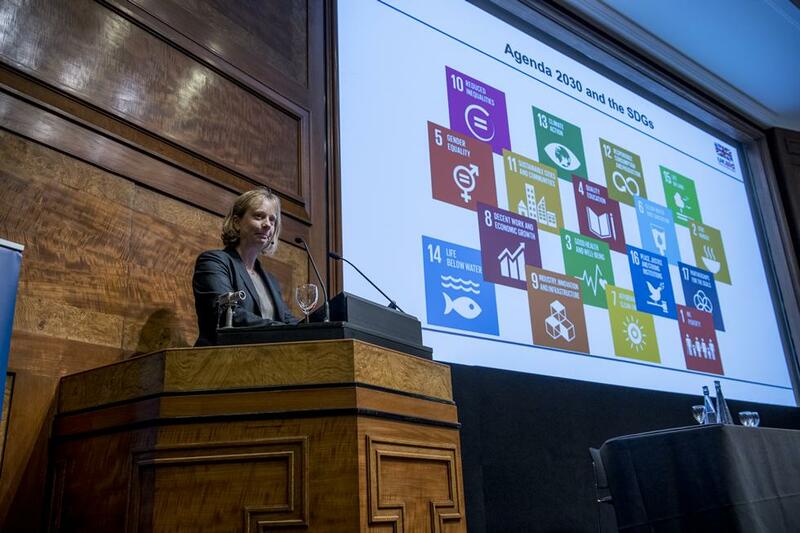 The final event in the 2017 environment public lecture series, took place on Wednesday 6 December in London and focused on Delivering the United Nations Sustainable Development Goals (SDGs). 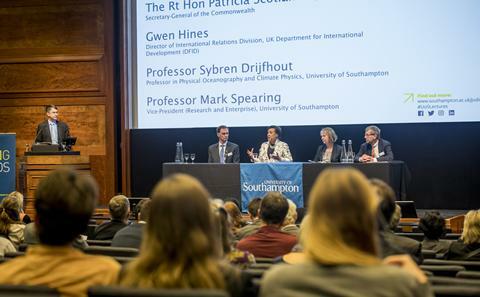 Keynote lectures from The Secretary General of the Commonwealth, The Rt Hon Baroness Scotland QC, Gwen Hines, Chief Scientific Advisor to the Department for International Development and Professor Sybren Drijfhout, Professor in Physical Oceanography and Climate Physics at the University of Southampton, preceded a panel discussion. In this session, we explored some of the major challenges at the political level to deliver the SDGs, and the issues which the international community need to address in order to succeed. 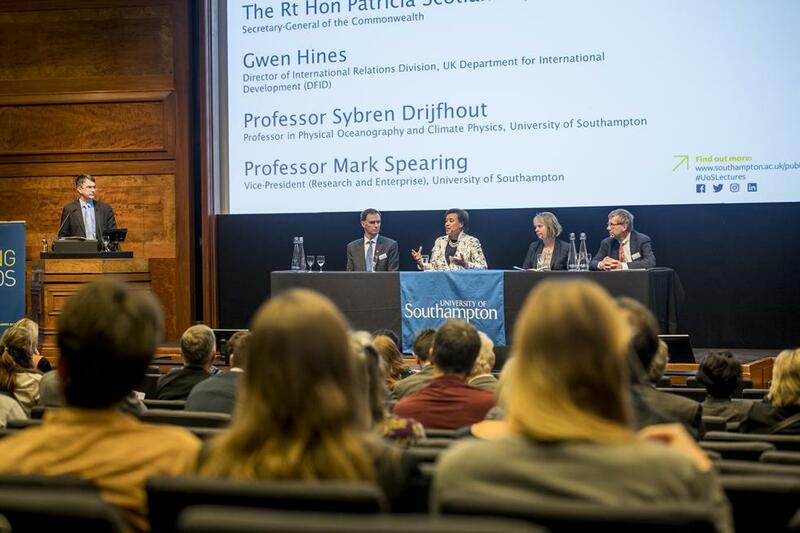 At the same time, we looked at the role that universities and academic experts can play in supporting national and international policy makers over the coming years as they grapple with these huge challenges. 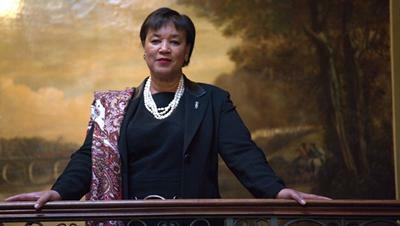 Baroness Scotland became the sixth Secretary-General of the Commonwealth in April 2016. 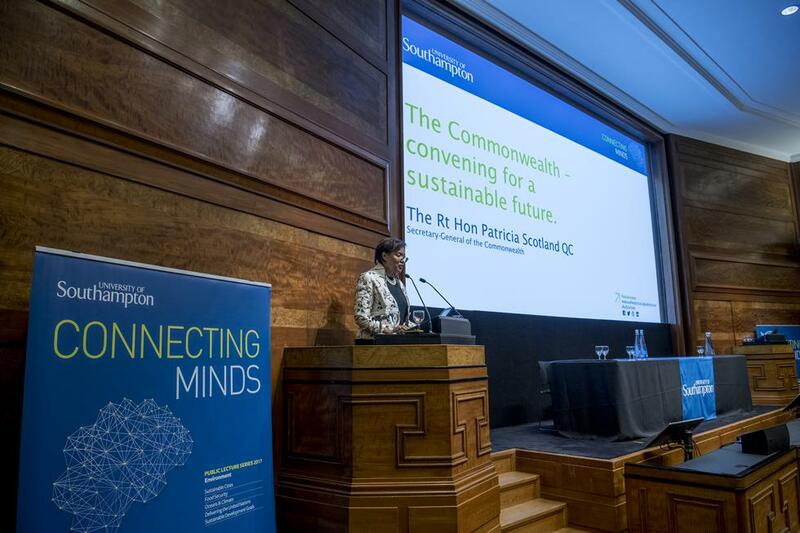 As Secretary-General, she is responsible for promoting and protecting the Commonwealth’s values, representing the Commonwealth publically and the management of the Commonwealth Secretariat. Before becoming Secretary-General, she had a successful career as a barrister, being called to the bar in 1977 and appointed a Queen’s Counsel in 1991. Appointed to the House of Lords in 1997, she held a number of ministerial roles in the UK Government between 1999 and 2010, including as Attorney-General for England and Wales and Advocate General for Northern Ireland from 2007 to 2010. 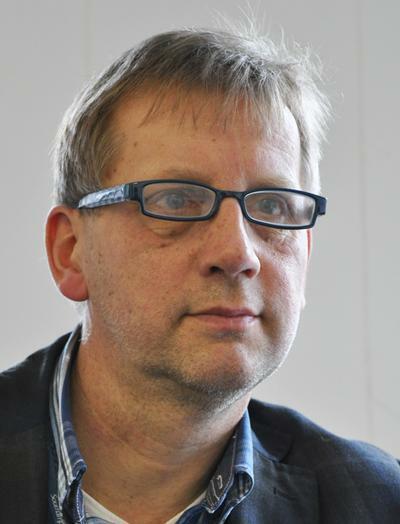 Sybren Drijfhout is a Professor in Physical Oceanography and Climate Physics within Ocean and Earth Science, National Oceanography Centre Southampton at the University of Southampton. 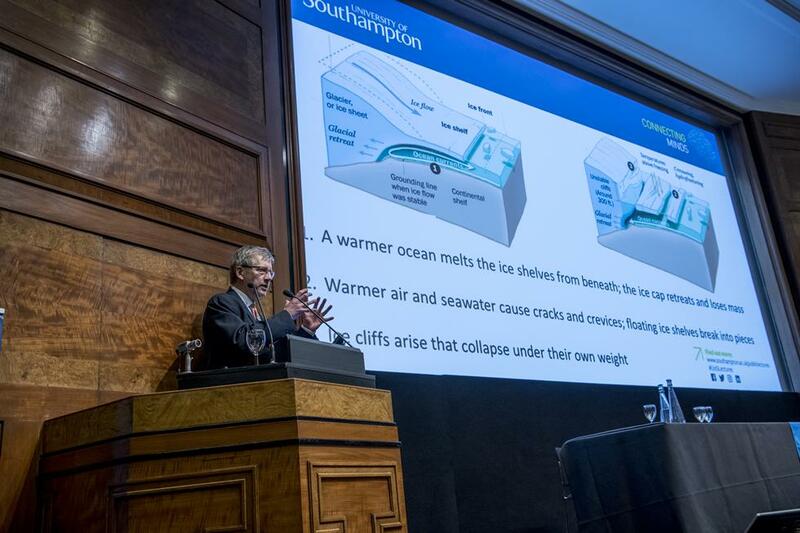 Sybren’s research revolves around the role of the ocean in climate change, and vice versa, the impact of climate change on the ocean, in particular the stability of the Atlantic Meridional Overturning Circulation and abrupt climate change. 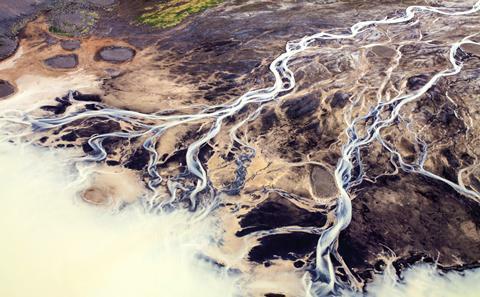 Sybren’s research methods include the use of ocean and climate models to study the impact of climate change. Gwen Hines has worked for the UK Government since 1996 in a range of policy and operational positions. 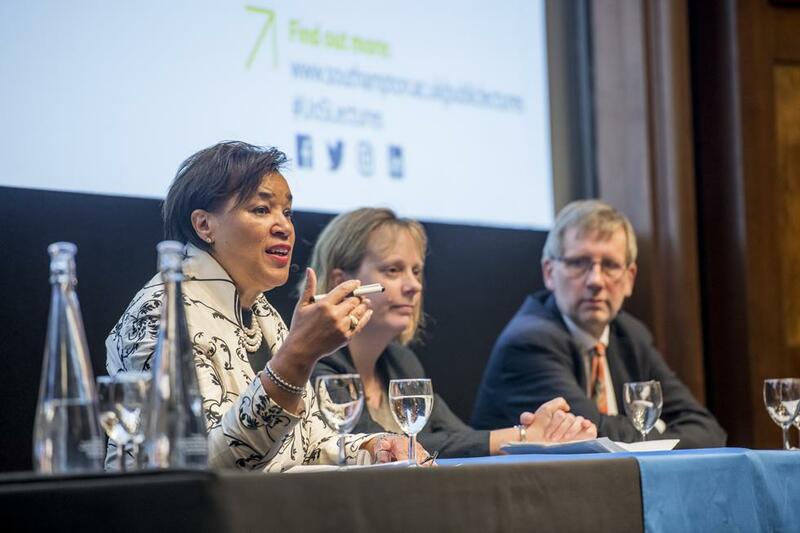 Before taking up the role of DFID International Relations Director, she was the UK Government's Executive Director to the World Bank Group (2012-2015). 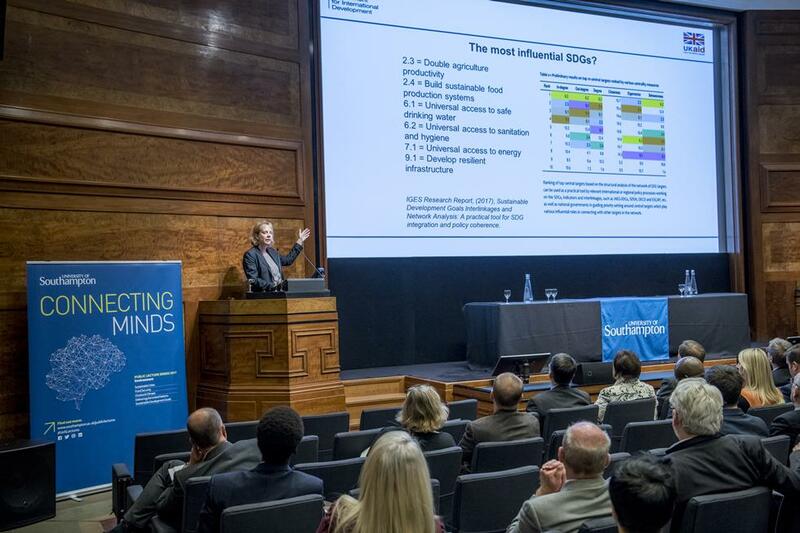 She also served as the DFID Head of Office in Bangladesh and in Malawi, and worked on the DFID programme in Pakistan. 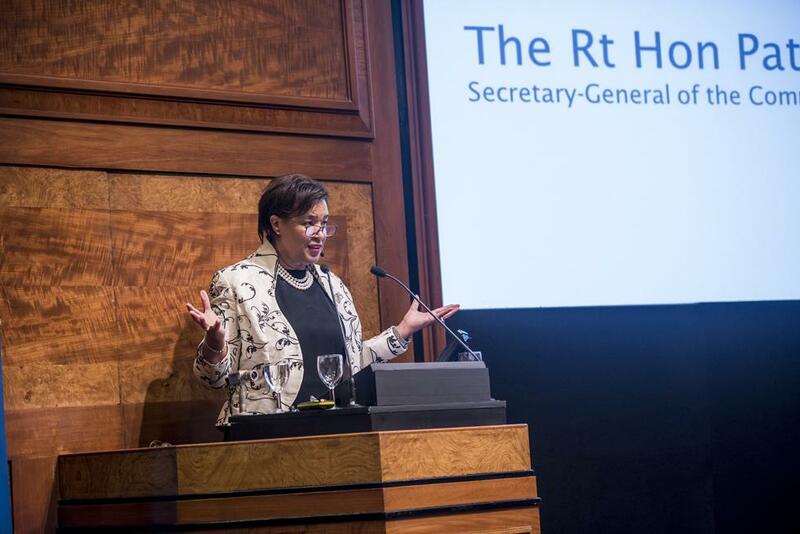 Throughout her career, Gwen has worked a lot on international relations, including with UN agencies, the World Trade Organisation and the G7 and G8 (specializing in African issues). She was seconded by DFID as a National Expert to the European Commission (DG DevCo). Gwen has also worked for the UK Foreign and Commonwealth Office (FCO) and for Apple Computers, and completed an internship at the US House of Representatives. Her academic background is in politics, economics and psychology.